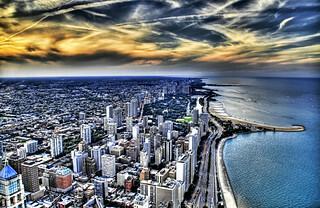 This was taken with nine exposures on a late summer evening in Chicago. The light made the lake have sort of a Caribbean blue color. It was one of my few trips there where I did not absolutely freeze to death or get shredded by ice crystals in monsoon-strength winds.